MOSCOW, January 12. /TASS/. The proposal to return to Ukraine its military equipment from Crimea is a goodwill gesture and a manifestation of Russia’s commitment to a settlement in Ukraine, Russian Presidential Spokesman Dmitry Peskov told reporters. He recalled that Russian President Vladimir Putin had repeatedly pointed to Moscow’s interest in breaking the impasse in the Russian-Ukrainian relations. The president also said that Russia is interested in implementing the Minsk agreements more than other countries. Putin is also "a proponent of continuing and completing the process of exchanging detainees [between Kiev and the self-proclaimed Donbass republics]," Peskov noted. "This [proposal] is another goodwill gesture, a manifestation of a political commitment to breaking the impasse in the Ukrainian settlement," Peskov said. The Kremlin spokesman noted that part of Ukraine’s military equipment had been returned to it from Crimea before the beginning of hostilities in the Donbass region. However, when the bloodshed in the east of the country began, the process stalled. Peskov declined to comment on the possible timeframes for returning the military equipment to Ukraine urging to wait for response from Kiev and the relevant contacts. According to the Kremlin spokesman, "to determine all the parameters related to how this will proceed, it will be necessary to hold some contacts" between the two countries’ military officials or diplomats. On Thursday, January 11, Russian President Vladimir Putin said that Moscow is ready to return to Ukraine the armaments from Crimea, although this military equipment is in a deplorable condition. The Russian leader noted that the issue at hand is dozens of naval ships and warplanes. 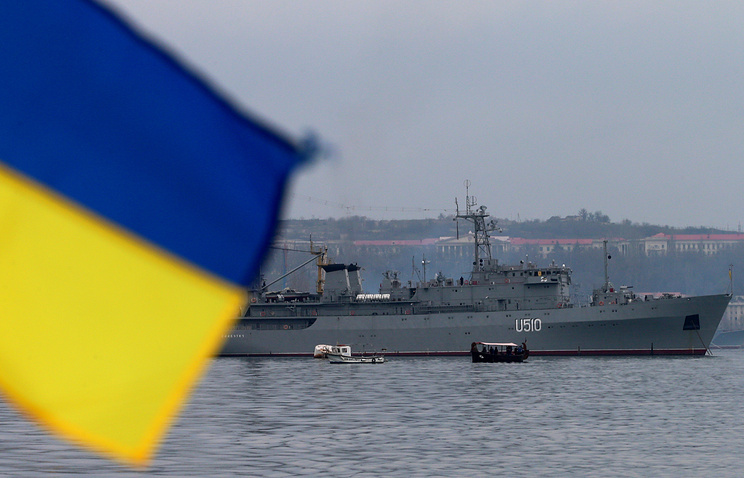 According to the Russian president, the Ukrainian military servicemen could come to take their ships to Odessa. Russia is also ready to invite the Ukrainian military to attend the recycling procedures in Crimea.